A GIANT Thank you to wonderful people and staff at the Carnesville Fall Festival for making Friday night absolutely wonderful. The crowd was also great and 2TA Band very much appreciates all of you. Today (September 8, 2018) was our second trip to the wonderful South Carolina Apple Festival in Westminster South Carolina. The atmosphere was fabulous with all the street vendors, great food, diverse entertainers, and don't forget the APPLES! If you have never been here before go ahead and schedule start looking for the dates of next year's event and make plans to come out. Just like us, you will have a wonderful time. We played in the afternoon in the hot South Carolina sunshine to a super responsive crowd. We had people in front of us and behind us (sitting in the shade) and everybody seemed to be having a great time. Even when the train came by and blew their horn - they were in the same key as the song we were playing, and no we did not rehearse that. Whoo Whoo! Remember next year to attend this great event! You can't go wrong. 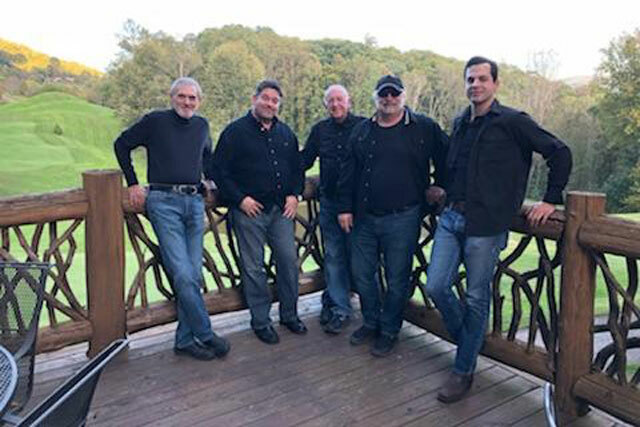 2TA Band would like to extend a big and sincere THANK YOU to Mr. Jeff Adams of Hartwel (the big guy in the front center in the above photo), an awesome guitar player who stepped in as our lead guitarist on our performances at the Carnesville Fall Festival and the South Carolina Apple Festival. Thank you Jeff. You did an seriously awesome job, and believe me, playing with this bunch is no easy task. 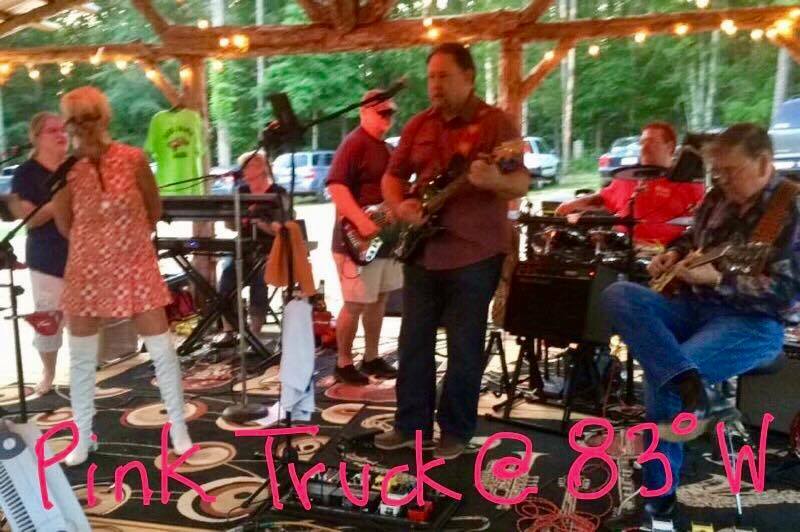 If you would like to hear Jeff in his natural habitat, look for the Pink Truck band fronted by Jeff and his sweet wife Michele. This band is well worth you time. Jeff stepped in and selflessly helped us on lead guitar after our guitar player (Jimmy Sanders) had an accident and had to step aside - at least for now. Many of you have asked about him and we can report that he is doing okay. We appreciate everyone who has held him up in your prayers and thoughts and ask that you continue to do so.